The dining room was on the ground floor and decorated much as it was at Mains with the same fireplace and dark colors. It faced east overlooking the garden. 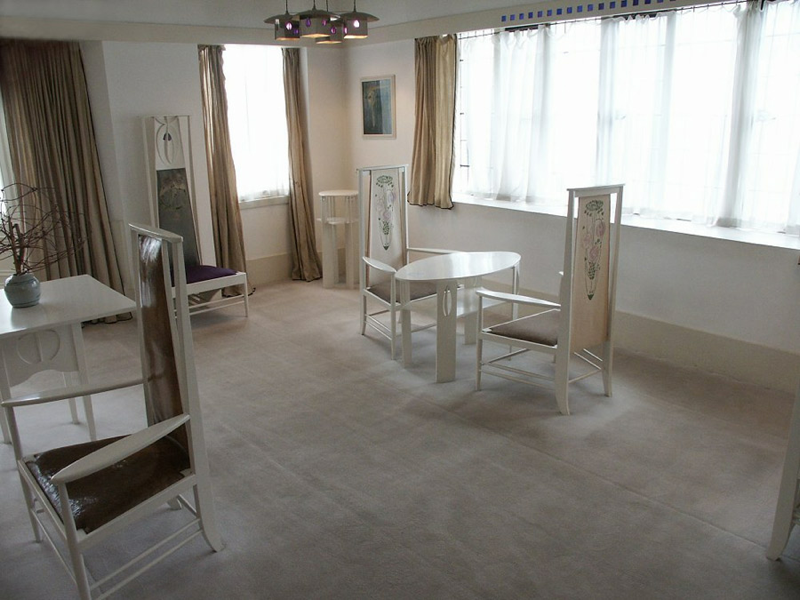 The chairs were the same ones that Mackintosh had designed for Miss Catherine Cranston and the Argyle Street Tea Rooms. Two separate rooms were combined to make one large L- shaped room. The smaller part of the room faced the newly done casement windows on the south wall. 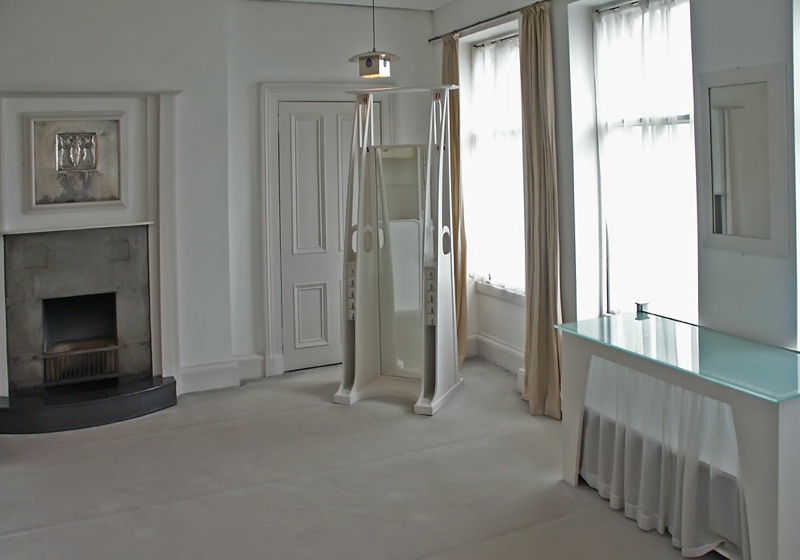 The large square part of the room served as the drawing room, while the smaller wing was a studio or reading room. This room dazzles the visitor with its wonderful light. In this image we are viewing the sitting area as seen from the bank of casement windows. The far left side leads to the smaller studio space. The cabinetry is painted oak with silver plated fittings and glass inlays. 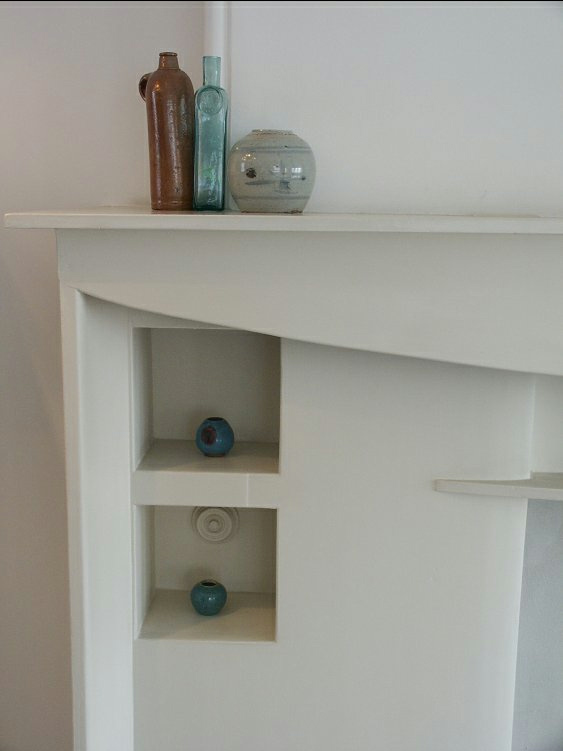 Drawing room fireplace detail. 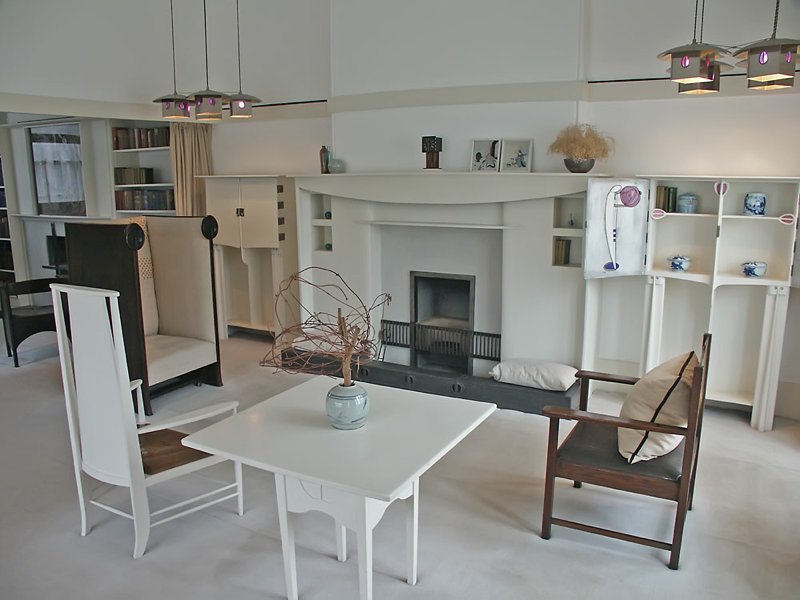 Mackintosh's furniture and cabinetry designs required great skill to build. 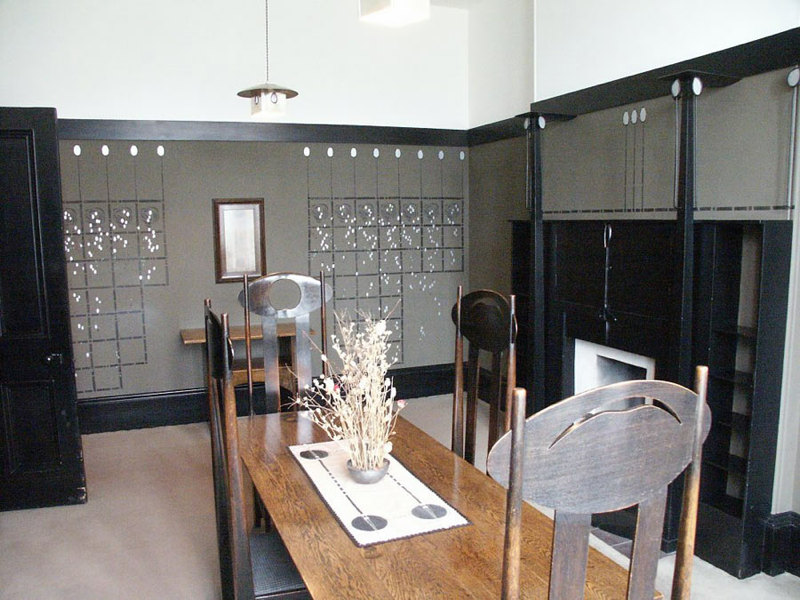 Fortunately, because of Glasgow's flourishing ship building industry there were many cabinet makers who had the necessary skills to produce the Mackintosh pieces. Unlike the white rooms of the drawing-studio rooms no dark furniture was designed for the bedroom. The white of the rooms is accented with touches of red, blue and green. The cheval mirror is painted oak with glass inlay and silvered brass handles. The design is obviously inspired by plant forms as was much of Art Nouveau design, especially in France. 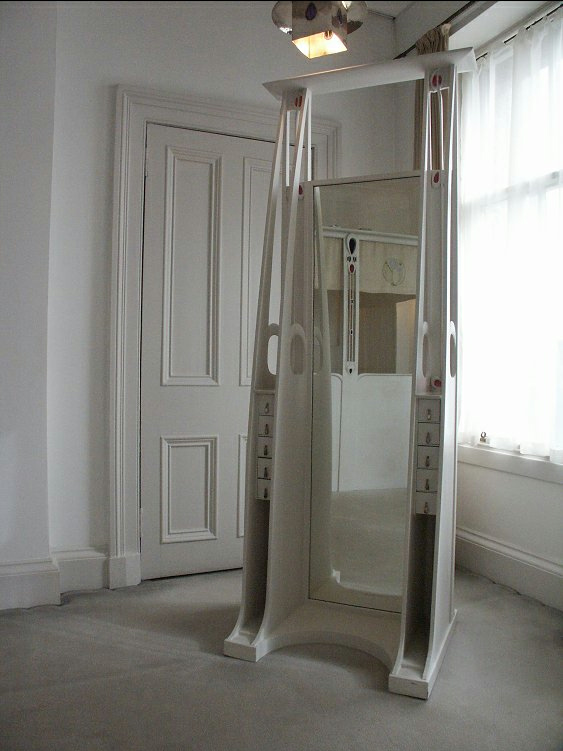 In autumn of 1900 the Mackintoshs' sent this mirror and two of the dining room chairs to Vienna for their installation at the 8th Secessionist exhibition. The minimal canopied bed almost gets lost in the whitness of the room. 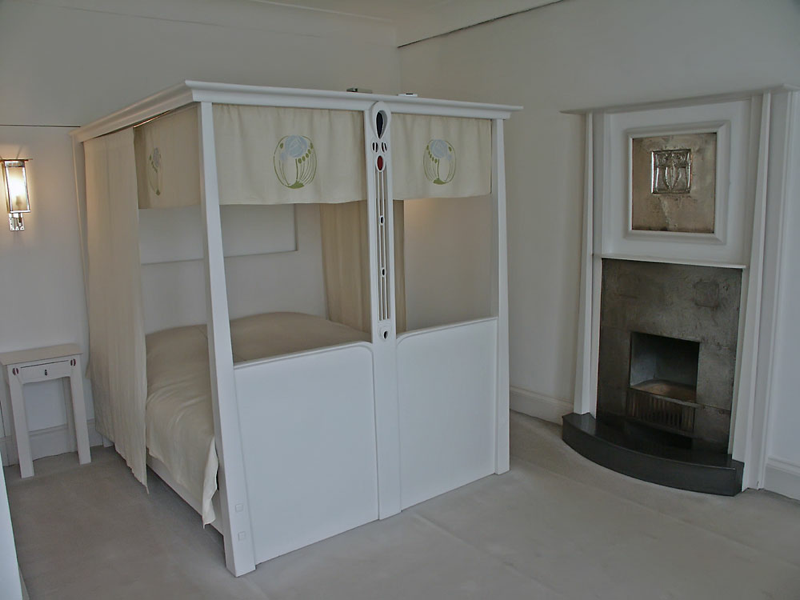 This was the same bed that Mackintosh had designed for their Mains Apartment which the couple had moved into after getting married. This bed, as much of their other furniture, traveled with them to 6 Florentine when they moved from Mains to 6 Florentine Terrace. 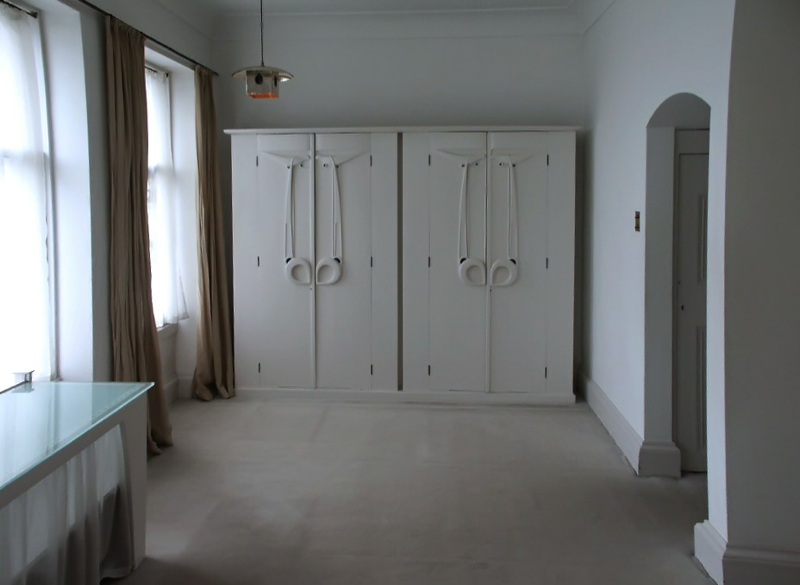 The elegant closets, finished in white with delicate scuplted reliefs of doves. 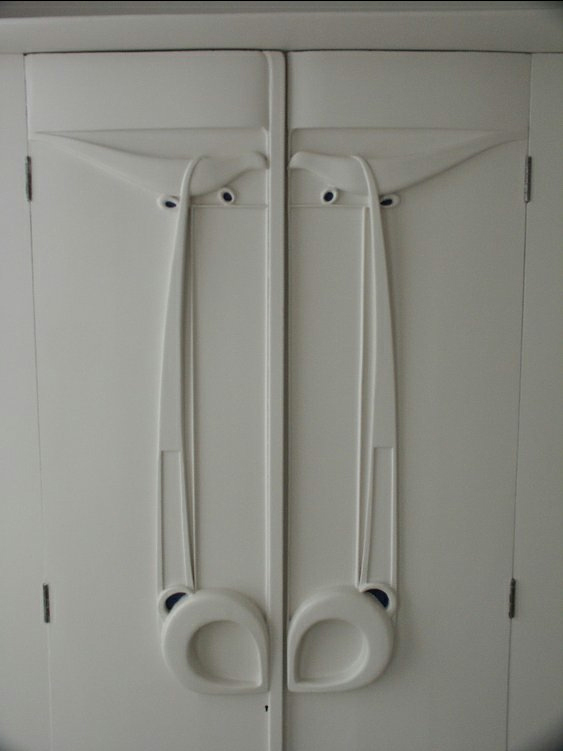 This is a detail of the beautifully stylized dove carving on the built in bedroom closet doors.